Aviation isn’t just a career – for many of us, it’s a passion. Perhaps even something we dreamed about since we were kids. For that reason, we relish any opportunity to connect with aspiring aviators who share our love of aviation and take us back to a time of childlike wonder. 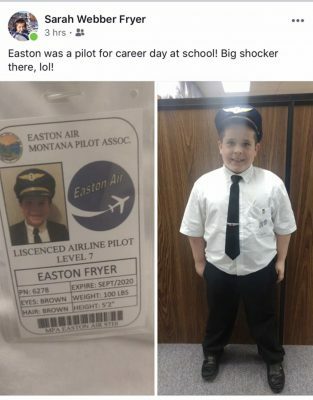 Easton has always possessed a strong passion for aviation and jumped at the chance to dress up as a pilot – He even made up his own airline and created a crew badge! Ric was touched by the photo but noticed Easton’s uniform was missing something important: epaulets and a pair of wings. Ric was quick to reach out to Easton’s mother so he could help complete the “uniform” and, after speaking to her, learned that there was much more to Easton’s story than just his shared loved of aviation. Easton was born with a Congenital Heart Defect (CHD) and has already undergone surgery for an Atrial Septal Defect (ASD) when he was 5. During that surgery they found Easton has a bicuspid aortic valve and a Coarctation of the Aorta which will need to addressed in the future, perhaps by the age of 10. 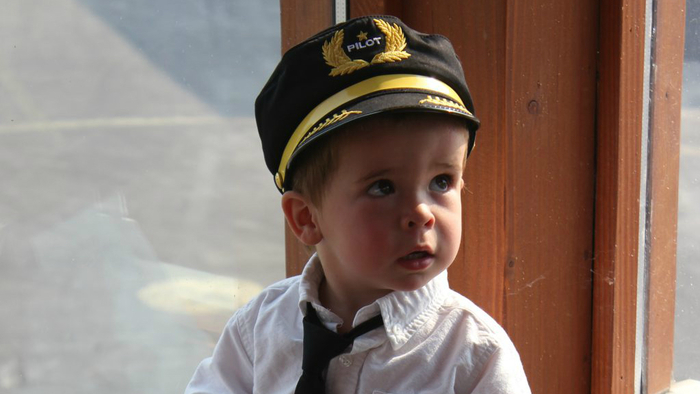 These defects require regular echocardiogram appointments and monitoring for Easton, but more importantly, it could mean his dream of becoming a pilot may be uncertain. 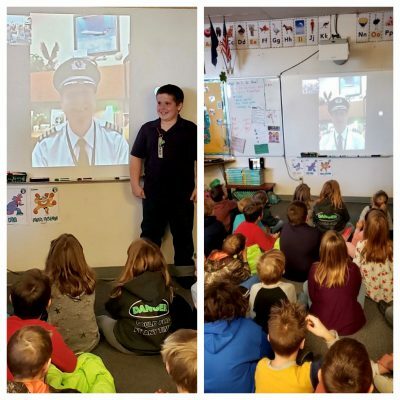 With coordination from Easton’s mom and teachers at Daly Elementary in Hamilton, Montana, a facetime call was scheduled so that Captain Wilson could do a Q&A session with Easton’s whole class as part of a learning activity. Students were able to ask questions about being a pilot and learned about how high and fast planes fly. A stunned Easton accepted Captain Wilson’s offer as his classmates clapped and cheered. Easton and his family are scheduled to join us this July so they may be treated to a VIP tour of the American Airlines Training Facility and C.R. Smith Flight Museum. We’ll be documenting the day via our social channels, so stay tuned and be sure to follow @envoyaircareers!